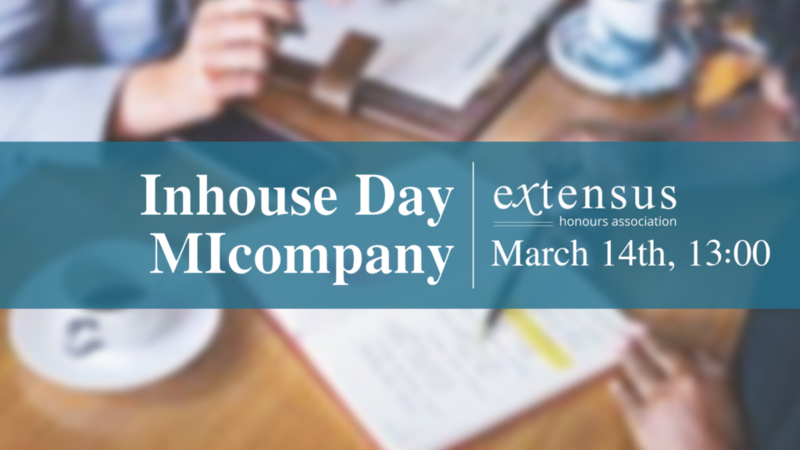 On March 14th, MIcompany is hosting an Inhouse Day! MIcompany is the number one agency in creating sustainable impact with Data Analytics. They work on cases for companies such as NS, Achmea, and bol.com. Are you curious to see what working for a consultancy firm entails? Are you interested in building connections? Do you want to see what job opportunities may be waiting for you? Then this Inhouse Day is for you! MIcompany is looking for Computer Science, IT, Beta-Gamma, Economics, Mathematics, Statistics, and Data Analytics students. This is your chance to experience what MIcompany does! During the Inhouse Day you will perform a project from start to finish – extremely rapidly! Will you discover your own analytical X-factor that they are looking for? The Inhouse Day is free! There will be a borrel afterward. The sign-up will be open until February 21st. You can cancel until March 7th, if you cancel after that, we will ask for a 25 euro compensation. You can no longer sign up for this event.